Team members of Chatrium Hotels & Residences led by Managing Director Savitri Ramyarupa together with Magic Eyes and The Royal Thai Navy joined hand in hand to clean up the Chao Phraya River. 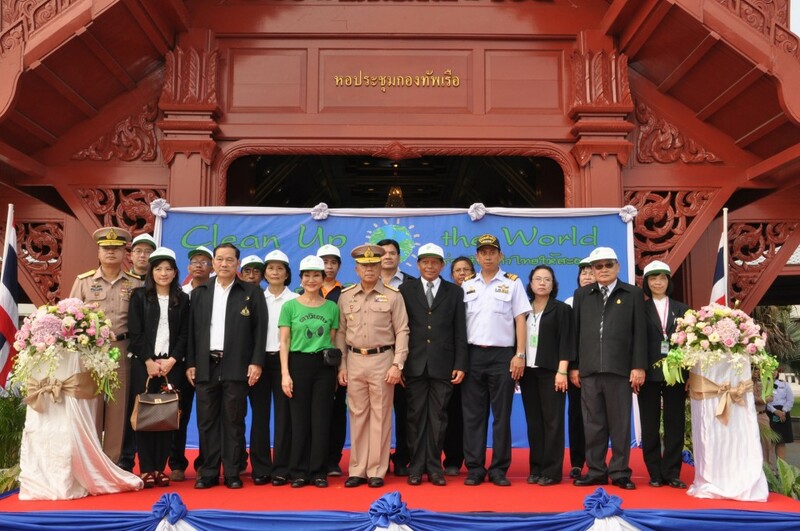 November, 2013: Chatrium Hotels & Residences, led by Managing Director Khun Savitri Ramyarupa, gathered with Magic Eyes and The Royal Thai Navy for a cleaning of the Chao Phraya River in the “Clean Up the World Campaign.” Other volunteers in the November clean-up included Chatrium associates and local community members. 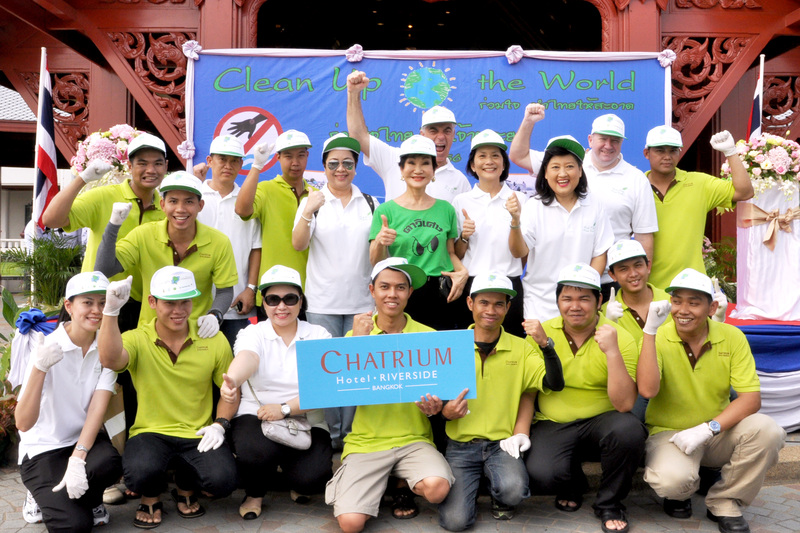 “Cleaning Chao Phraya River” is part of Chatrium’s Green campaign, which aims to promote public awareness of environmental issues and encourage the public to contribute actively towards a better environment. 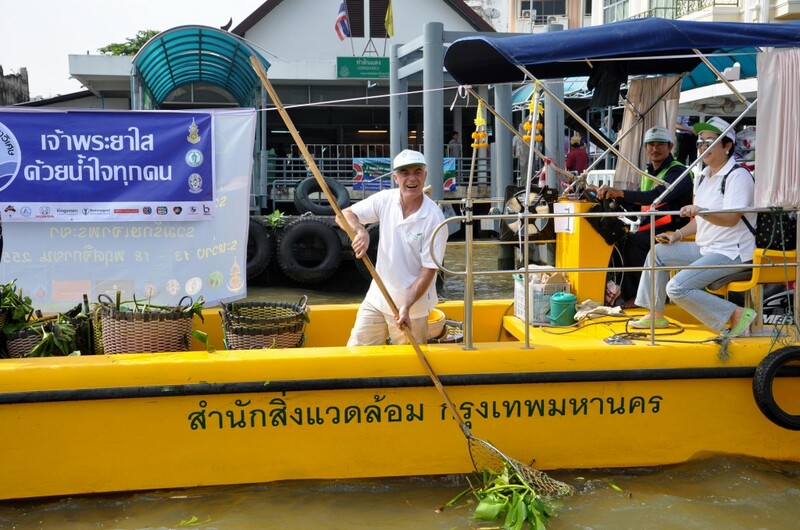 In the recent clean-up, 25 boats participated in the collection along the Chao Phraya River of garbage, as well as water hyacinth which is the main obstacle to river transportation. 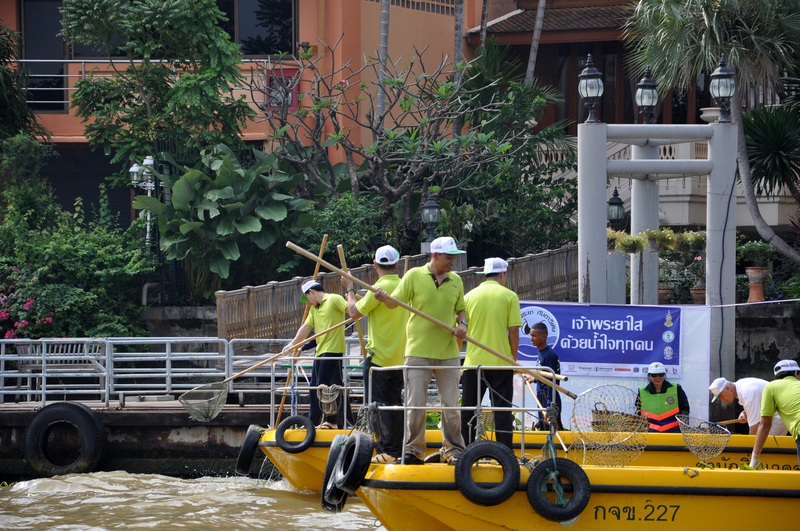 Five of the boats started their journey to collect garbage from the Royal Thai Navy’s pier to Chatrium Hotel Riverside Bangkok’s pier, receiving the full support of executives and hotel associates along the river. Also, a group of Chatrium Hotel associates picked up waste at Chatrium Hotel Riverside’s pier to reduce pollution in the river. Part of the waste collected will be converted into new usable products through a recycling process. Khunying Chodchoy Sophonpanich – President of Magic Eyes (Tavises) Foundation, Khun Savitri Ramyarupa, Managing Director of Chatrium Hotel & Residence and Team Members. It is hoped that the efforts made will help protect the public from possible harmful substances in our wastewater, as well as generate enthusiasm in our community to reduce the effects of water pollution. The river clean-up is, in part, a preparation for the upcoming traditional “Loy Krathong” festival which is held annually on the full-moon night in November.